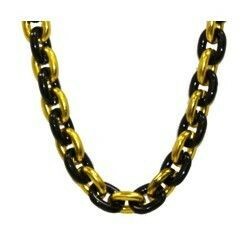 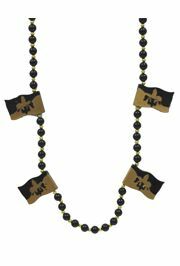 These include Gold Metallic Chain necklace, Gold Beads, Black Saints Flag Beads, Gold Chain Link necklace, or Gold Football Beads. 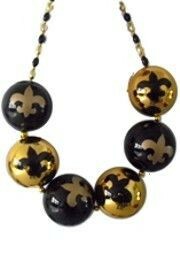 42in hand-strung necklace with 22mm black and gold football beads and 4 gold Fleur-De-Lis medallions. 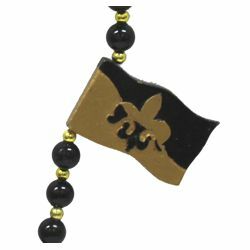 This specialty hand-strung bead is great for sports fans. 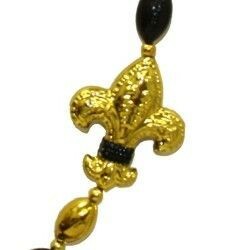 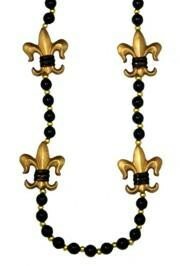 The 4 Fleur-De-Lis medallions are hollow allowing this bead to be lightweight despite its size. 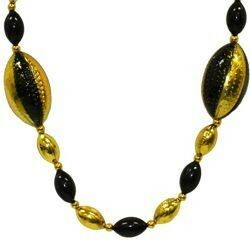 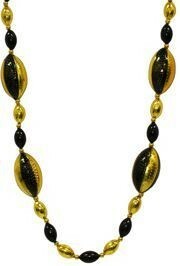 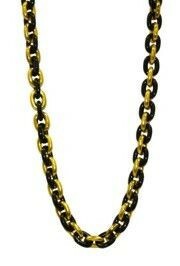 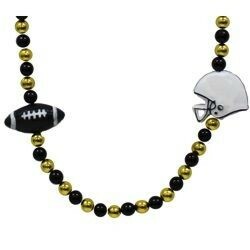 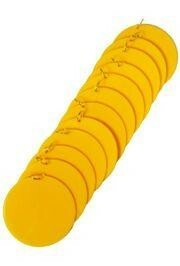 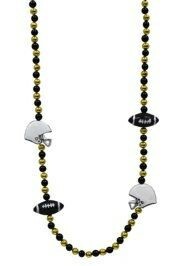 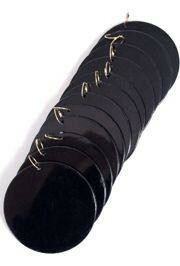 This necklace has 4 2in black and gold plastic footballs. 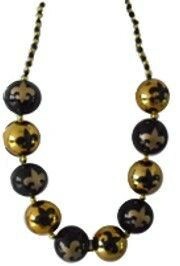 It is perfect for Mardi Gras and football fans. 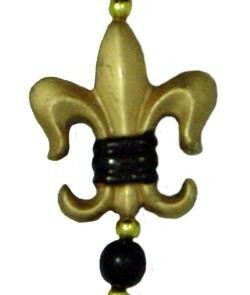 Despite it's size, this bead is lightweight. 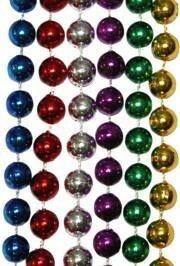 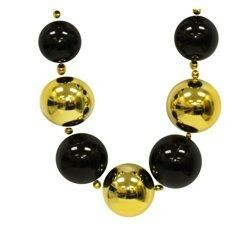 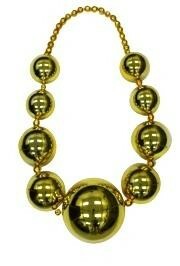 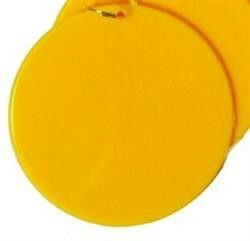 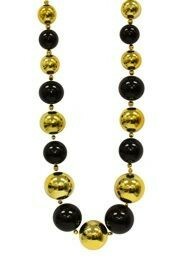 This big balls necklace has 20mm Gold beads along the upper part of the necklace making it comfortable to wear. 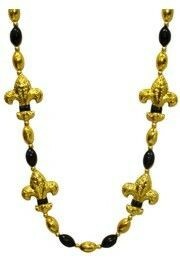 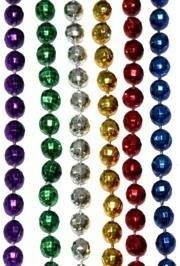 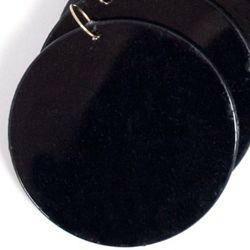 It is perfect for Mardi Gras and any other occasion when you really want to stand out! 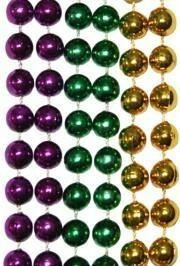 Great St. Patricks Day Parade Parade. 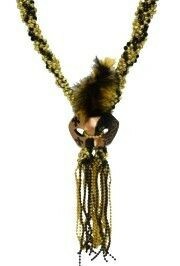 This braided necklace has a black and gold feathered mask medallion and beaded fringe. 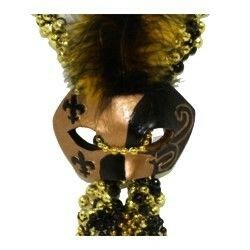 The mask contains fleur-de-lis images. 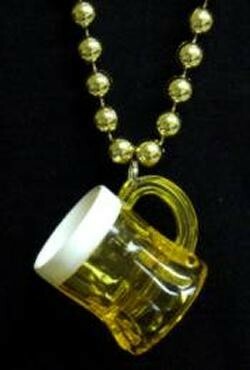 This eye-catching necklace is great for Mardi Gras and sports fans.